MarTech Series presents Stack & Flow, a podcast series hosted by MTS Expert – Infer’s Sean Zinsmeister and EventHero’s John Wall. Before Trello, Stella was CEO and co-founder of matchist, a marketplace for freelance developers which was acquired in 2015. Stella also ran marketing and was on the founding team of FeeFighters, a venture backed payments startup acquired by Groupon 2012. As always, Sean Zinsmeister has eyes lit up at the mention of Artificial intelligence and machine learning. His insights on the future of automation and the expectations sets the tone for the interview with Stella. The interview takes off from the parting interview President Obama did, where he was talking about jobs in America– highlighting the relentless march of automation. Trello is a visual collaboration platform that people all over the world use. Around 19 million, probably more than that at this point, use it to do everything from planning book clubs and weddings to launching startups, running giant Fortune 500 marketing teams. If you market to everybody, you market to nobody! As Stella puts it, “It (Trello) is the most flexible, visible collaboration tool that you’ll ever use and the ways and process and strategy and everything is really up to your imagination. The tool is designed to be a blank canvas for your team’s process to be put on the canvas. One of the coolest thing about using Trello and why it’s grown so quickly is the fact that it doesn’t “force people into a process.” A really flexible tool, Trello is built on the concept of keeping the dashboard horizontal. 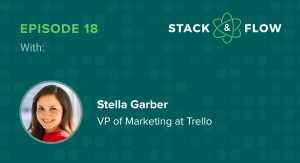 Stella suggests why Trello is quite the opposite of what the conventional marketing books teach. Trello is the tool that can be the glue or the tool of choice for organizing any need in their life. Trello seems to have developed persona-building very recently, maybe six months ago. The primary goal of the product design team at Trello was to keep the tool easy and universally acceptable. The idea of keeping Trello simple is to “make it stickier” and viral, as a collaboration tool should be. In different markets, we sort of localize to the use cases too, whatever is appropriate for that market, but that’s a whole other animal I can get into. Is Trello an Extension of the Kanban Board? The real DNA of Trello is the effective visual paradigm of taking paste-it (post-it) notes. Almost everyone is familiar with working with post-it boards, and they are so visually attractive. Trello, too, offers something that people naturally understand. Stella feels that automation interplays with human behavior. According to her, there is a fine line between robots and humans, especially with chatbot interactions, replacing human communication in some cases. 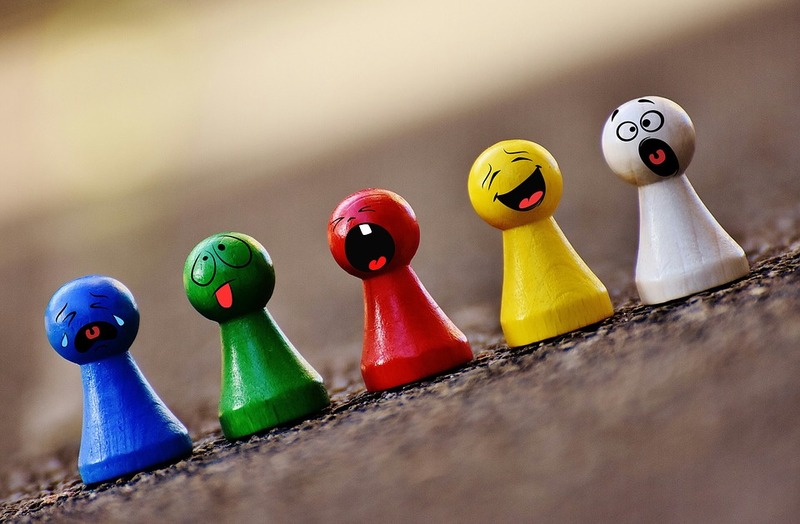 From the marketing standpoint, we want to be really careful because Trello does have that sort of human touch, that fun, delightful, playful brand and that’s the thing that really connects people to us. In 2017, technology is on the cusp of taking human race into a magical era— where AI and Machine learning can solve any problem that we can’t do ourselves. However, the biggest impact of AI/ML will befall on the evolution of jobs in the future. Stella replies, “I think that it’s a really interesting point that you brought up, Sean, about Obama mentioning the march of jobs that are leaving the US. It’s a lot easier to point fingers at large corporations and say they’re leaving, this is what’s causing unemployment to happen rather than point at robots and computer algorithms and things that people don’t understand. Whereas anyone who’s looked at data on the changing nature of work knows that AI is the future and it is replacing a lot of jobs that people have today, but like you’ve mentioned, I think that there are a lot of opportunities for people to do work that is much more strategic, much more thoughtful and it’s just different. All of this conversation smacks to me of just fear mongering because people don’t really understand what it actually is. For more topics in Artificial Intelligence, keep an eye on AI 101 Series. AI 101 Series is a special edition authored by Infer’s Sean Zinsmeister exclusively for MarTech Series.